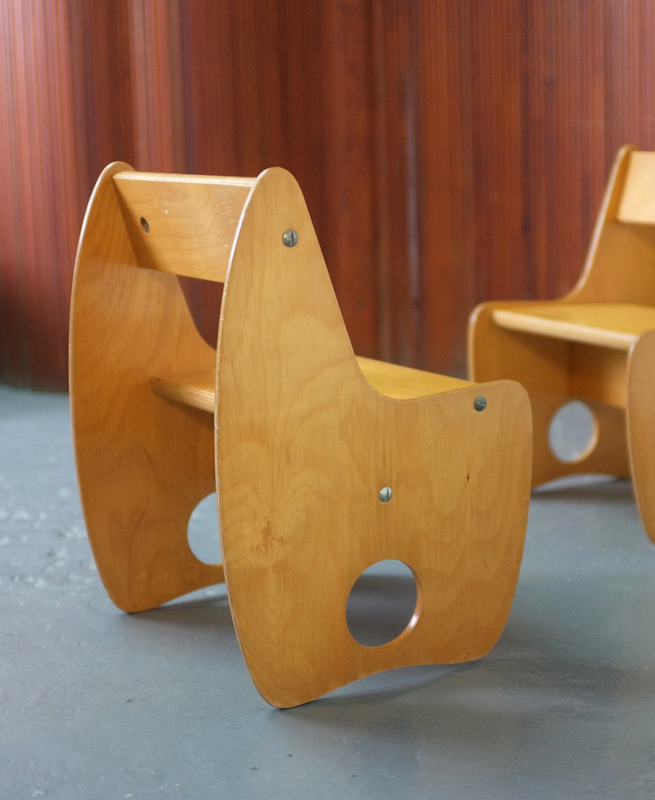 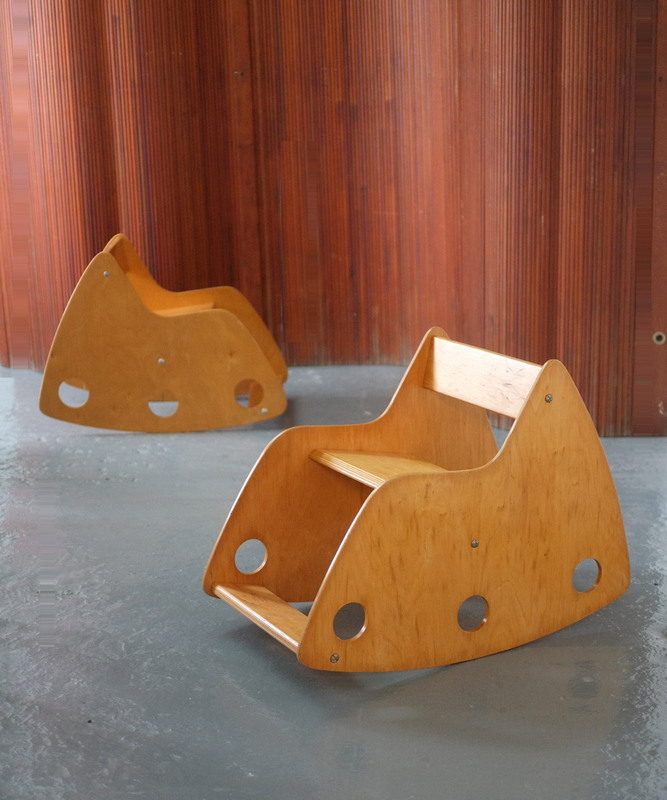 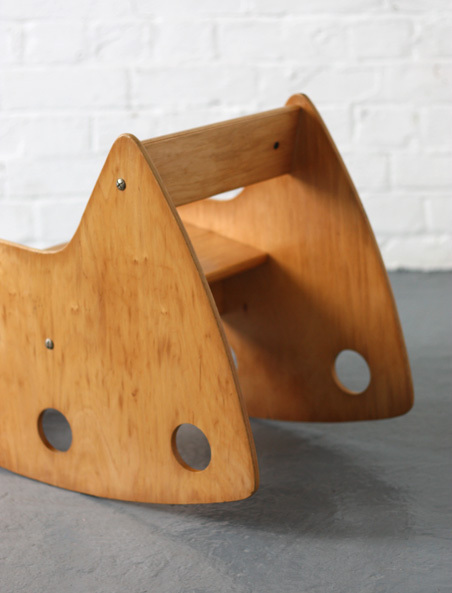 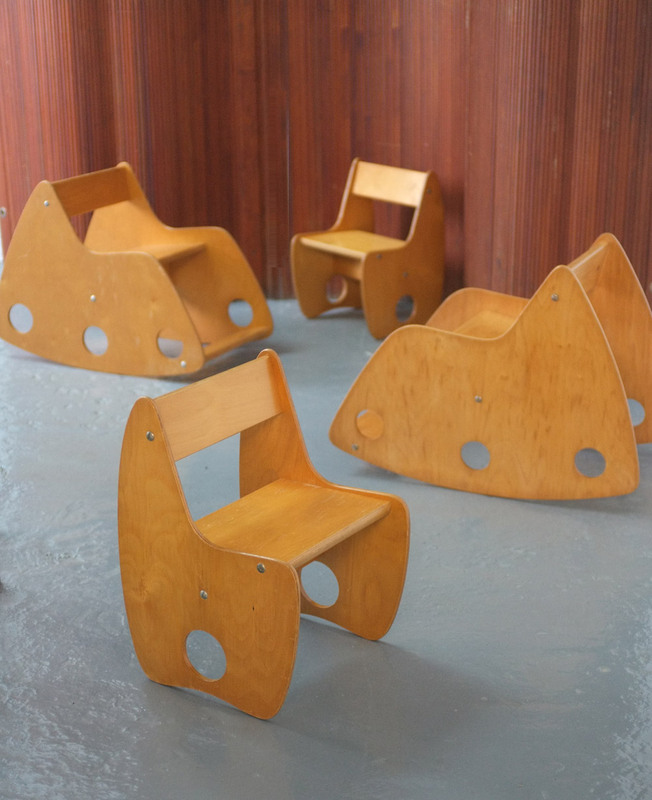 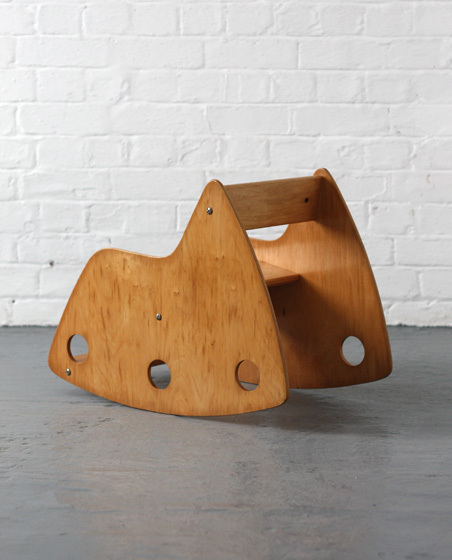 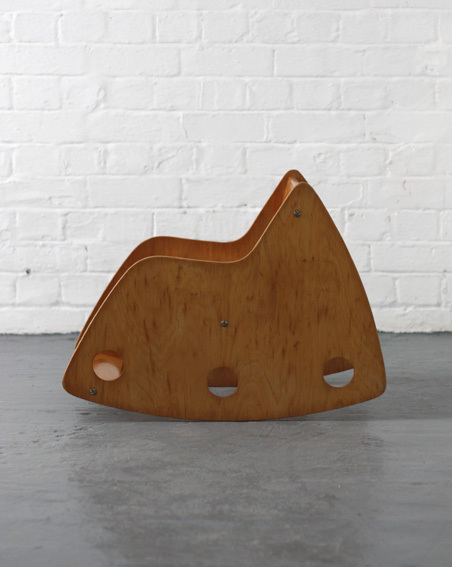 A collection of children’s plywood chairs by Hans Mitzlaff and Albrecht Lange, USSR. 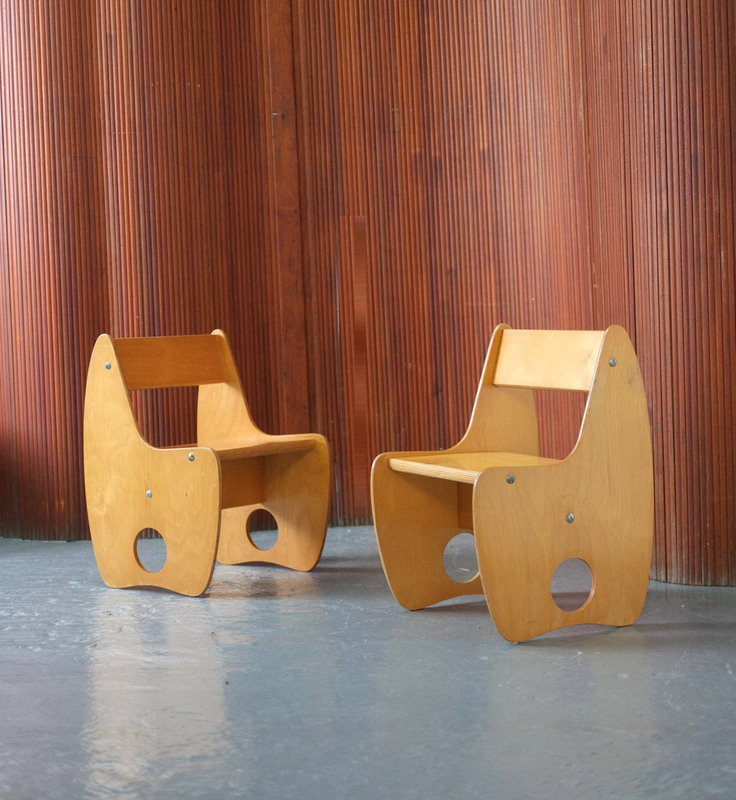 Side chairs and wonderful rocking chairs. 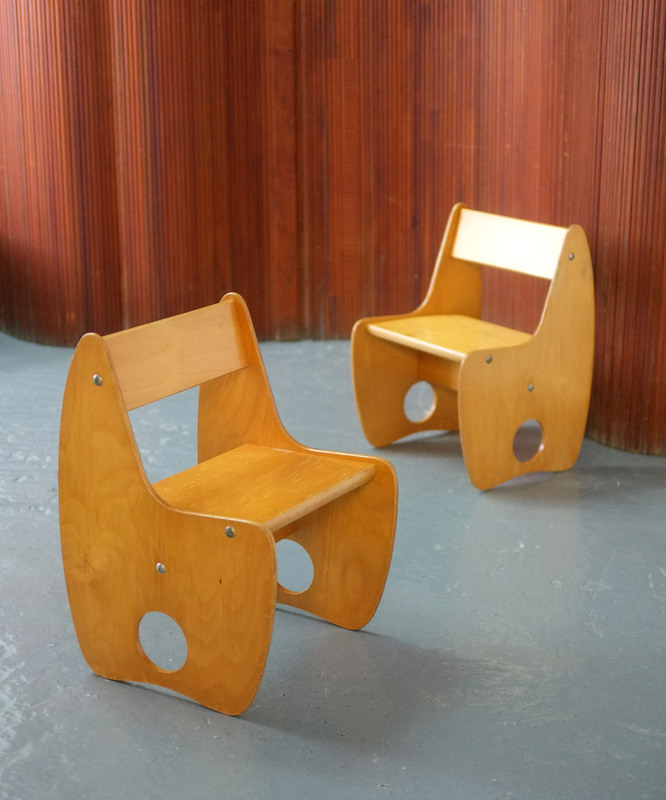 Beech veneered plywood with metal fixings.